Have you ever considered doing what I do and being a Team Beachbody Coach? Beachbody coaching is a unique opportunity for those who have a passion for fitness and helping others. The greatest Team Beachbody Coach, is somebody who helps others without expecting anything in return. As a Coach, your job is to help people get motivated and excited about working out, eating healthy and consequently improving their lives. You help them by providing encouragement and motivation and by being inspirational. You also help them -- and yourself -- by "walking the walk", not just talking the talk. 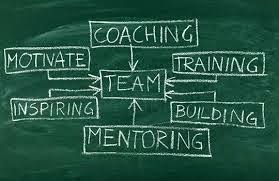 Coaches who are most successful are rarely focused on sales -- their focus is sharing .... sharing what has worked for them and their friends. As a new Coach, it does take time to learn, and to be successful. It all comes down doing the tasks consistently that will help you grow your business (I provide you with a list of these tasks). As a new Coach, it is also important to get along with and relate me -- and I look forward to developing a positive, friendly, ongoing relationship. I am not a boss, but I DO want to work with people with whom I *like* and who share my work ethic and values. When you first start out, it is important to participate in some Coaching training. Training will help you to get started off right, and will also help you continue to grow your business as time goes on. I have several different training groups going on at one time -- for different levels of Coaching. I 100% support my sponsored Coaches and am here to help them achieve THEIR personal health, fitness, and financial goals. A few benefits of being a Team Beachbody Coach: a 25% discount on ALL products, programs, and supplements; no inventory to keep; awards and prizes; free trips; recognition; a sustainable income; and the ability to be your own boss! What being a Team Beachbody Coach is NOT: selling; being a bikini model or 100% fit; being a “pro” fitness trainer or a nutritionist/trainer. 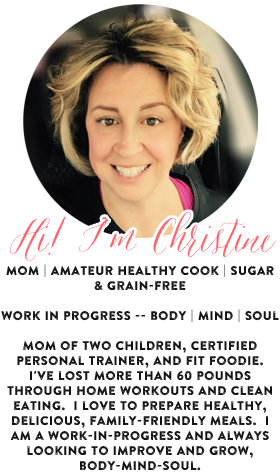 -I am surrounded by a positive, uplifting community of "fitness friends"
I want to connect with you and help YOU succeed. If you would like to simply begin the conversation with me without pressure, please fill out the form below. I will be in touch within 1-2 business days.